Thailand visa information for your country can be found by clicking on Your countries flag above for Thai consulates in your area (more countries being added soon). Who needs to apply for a visa to go to Thailand? - Passport holders of countries that do not appear on the list below will require a visa before entering Thailand. - Travelers entering Thailand for purposes other than tourism need a visa of specific type, i.e. non-immigrant visa. What type of visas should you apply for? 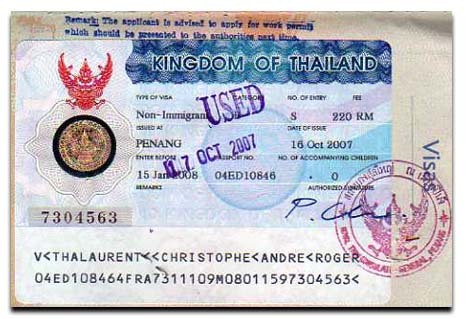 These types of visas are issued to persons who wish to enter Thailand for the following purposes to travel in transit through the Thailand. The person in charge or crew of a conveyance coming to a port, station or area in the Thailand. This visa is issued to persons who wish to enter Thailand for tourism purpose only and wish to stay up to 60 days. Non immigrant visa-B For the purpose of attending a conference / conducting business / working in Thailand. Non immigrant visa-ED For the purpose of studying / coming on a work study tour or observation tour / participating in projects or seminars / attending training course / studying as a foreign Buddhist monk in Thailand. Non immigrant visa-O-A For applicants aged 50 years or above wishing to go to Thailand for “Long Stay” at least for the period of 1 year. Non immigrant visa-F For official purposes. A non-immigrant visa is the only type of visa that permits non-residents (other than embassy staff, consular staff or official visitors) to be gainfully employed in Thailand. In addition, any person who holds a non-immigrant visa and wishes to work needs to apply for a work permit. Visa application forms for this category need to be completely filled out, stating reasons for employment, and must include a letter of certificate from the company where the applicant is to work. A company profile should be also attached to the application. Please note that a Consular Officer may deny an application if the reasons given are not fully supported. At present, a visa may be issued in the form of a sticker or stamp in the applicant’s passport. The visa will include details of the type and class. Each visa will show issue and expiry dates. A visa on arrival ( 30 day stamp ) can be extended at local immigration offices for a maximum of 7 days or by crossing a border by land for 15 days. Tourist visa’s can be extended by 7 days at the local immigration office or by 15 days by crossing a land border. In order to get a 30 day extension one must enter Thailand via air. ENTRY/EXIT REQUIREMENTS: U.S. citizen tourists staying for fewer than 30 days do not require a visa but must possess a passport that has at least six months validity remaining and may be asked to show an onward/return ticket. Persons entering Thailand by air without a visa are allowed to stay in Thailand for 30 days per visit. Persons entering Thailand by land without a visa are allowed to stay in Thailand for 15 days per visit. The duration of stay in Thailand for persons who enter Thailand without a visa cannot exceed 90 days during any six-month period, counting from the date of first entry. After 90 days, travelers must apply for a new visa at a Thai embassy outside of the country. Travelers must pay a Passenger Service Charge in Thai baht when departing from any of Thailand’s international airports. This charge is now included in airline ticket prices at Bangkok’s main airport, Suvarnabhumi International Airport. When a traveler enters the country, Thai Immigration stamps in his or her passport the date on which the traveler’s authorized stay in Thailand will expire. Any traveler remaining in Thailand beyond this date without having received an official extension will be assessed an immediate cash fine of 500 Baht per day, up to a maximum of 20,000 Baht, when departing Thailand. Any foreigner found by police to be out of legal status prior to departure (during a Thai Immigration “sweep” through a guesthouse, for example) will be jailed, fined, deported at his or her own expense, and may be barred from re-entering Thailand. In this regard, U.S. citizens should be aware that private “visa extension services,” even those advertising in major periodicals or located close to Immigration offices or police stations, are illegal. A number of U.S. citizens are arrested at border crossings each year when the visas and entry stamps they have obtained through these illegal services are discovered to be counterfeit. Some HIV/AIDS entry restrictions exist for visitors to and foreign residents of Thailand; however, these restrictions are generally not enforced. Please verify this information with the Royal Thai Embassy before you travel. Thailand’s entry/exit information is subject to change without notice. For further information on Thailand’s entry/exit requirements, contact the Royal Thai Embassy, 1024 Wisconsin Avenue, N.W., Washington, D.C., 20007, telephone (202) 944-3600, or contact the Thai consulates in Chicago, Los Angeles, or New York City. Visit the Royal Thai Embassy website for the most current visa information. Visiting and long stays in Thailand are not difficult you just need to be armed with the correct visa information. 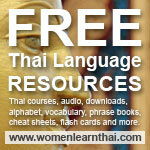 For CDC and health information about Thailand please visit, Thailand CDC Information.